How will Rodrigo Duterte's strong words for the U.S. affect the Philippine economy? 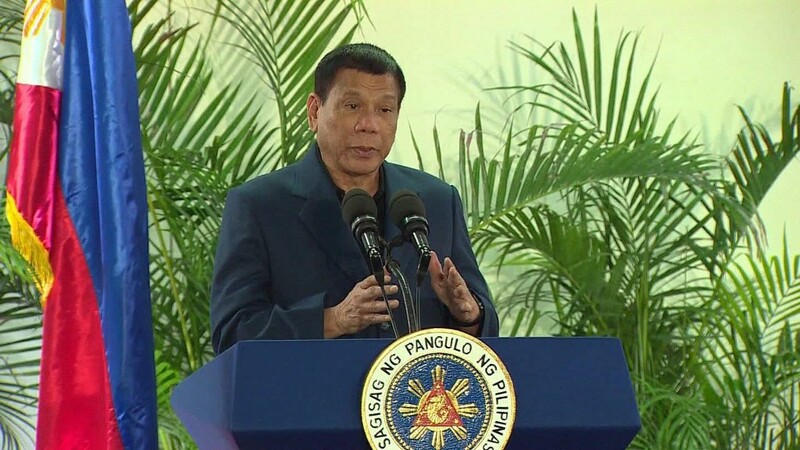 When Philippine President Rodrigo Duterte declared a military and economic "separation" from the United States last week, many Filipinos saw his announcement as more than just diplomatic posturing. They saw it as a threat to their jobs. His comments sent a shudder through industries that rely heavily on the U.S. market, particularly the big business of handling call center work and other tasks for American companies. Christina Concepcion employs 500 people who take care of payroll and accounting duties for multinational firms. She says she's been getting calls from her American clients with questions over Duterte's inflammatory comments. "I think a lot of them are also trying to understand if the game is changing for them," she said. In response to the sudden uncertainty, the country's largest industry group held an emergency meeting and requested a meeting with Duterte. Concepcion's company, Business Processing Outsourcing International, is still growing. But this year is slower than the last and Duterte's remarks present another "headwind" for the outsourcing industry, she said. By the end of this year, the sector will employ 1.3 million people in the Philippines, according to the country's IT and Business Process Association. Most of the jobs are in call centers, with Filipinos answering customer service or technical support lines for some of the biggest U.S. brands. Related: Is the Philippines' outspoken president scaring away investors? The industry has been a real success story for the country, helping drive economic growth to an impressive 6.9% last year. Experts say more than 80% of the work is for American clients. 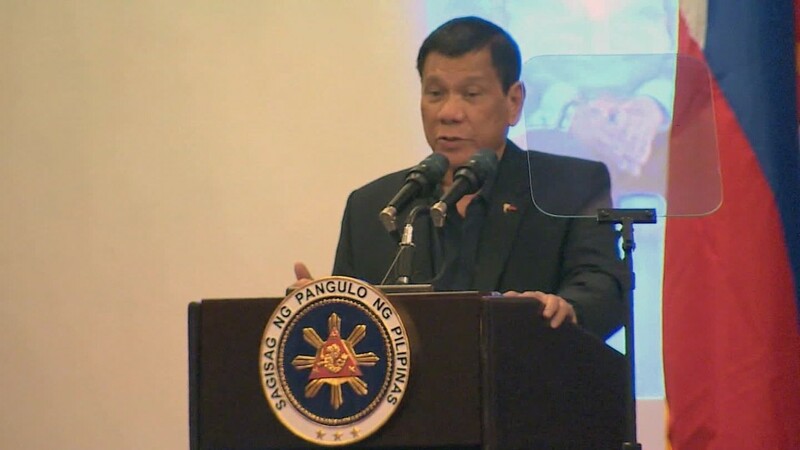 Duterte's recent statements have fueled growing concerns in "corporate boardrooms," Daniel Russel, a senior state department official, said Monday after meeting with the Philippine foreign minister. Call center workers in Manila told CNN they were worried that a political and economic shift away from the U.S. toward countries like Russia and China could endanger their jobs. But despite that risk, they stood by their president. "I think Duterte is being strategic here," said Mariah Marjorie Gonzalez. "Right now, I think he is trying to improve our ties with other countries, not just with U.S."
Gonzalez, 23, is still worried that if the U.S.-Philippines alliance weakens it could affect her work at Teletech, an American company. She said she hopes Duterte can find a way to build new relationships without cutting ties with the U.S.
Another call center worker, Ian Dulay, said he believes it's time for a change of course for the country. "I have nothing against Americans," he said. "I have a lot of American friends and they are nice, but it's different when it comes to politics and knowing the welfare of your people. I believe in Duterte." The number of call center jobs in the Philippines is expected to continue to grow rapidly. But Duterte's antagonism with the U.S. -- which has already unsettled some investors -- could jeopardize that. "Without Chinese companies taking on a comparable role in services, or even manufacturing, Manila would be shooting itself in the foot to turn away from the U.S.," Eufracia Taylor, Asia analyst at consulting firm Maplecroft, wrote in a research note. After the shock caused by his comments last week, Duterte tried to limit the damage over the weekend. He said he was advocating a "separation of foreign policy" rather than "a severance of ties." 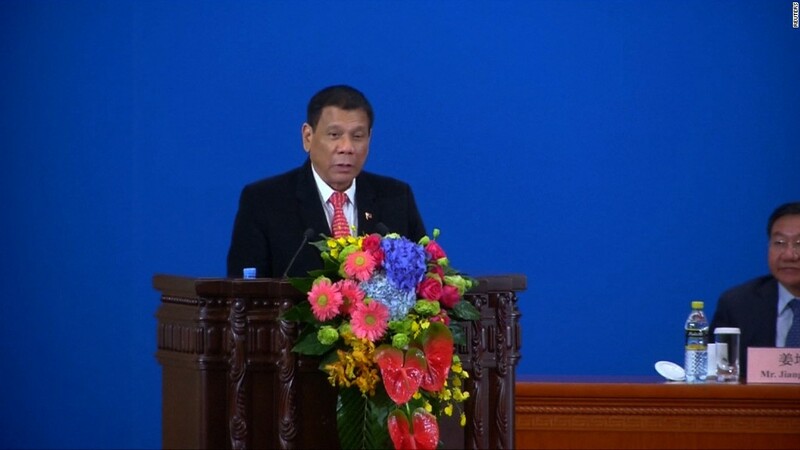 "Duterte comes across as many things -- abrasive, a loose cannon -- but in no way does he intend to deliberately get in the way of the economy," said Vishnu Varathan, an Asia expert at Mizuho Bank. -- Kathy Quiano, Felicia Wong and Reed Alexander contributed to this report.